Federal Personal Defense 357 Magnum Ammo 125 Grain Jacketed Hollow Point ammo for sale online at cheap discount prices with free shipping available on bulk 357 Magnum ammunition only at our online store TargetSportsUSA.com. 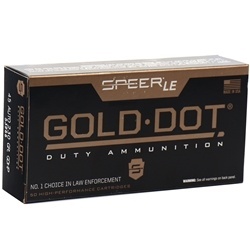 Target Sports USA carries the entire line of Federal Personal Defense ammunition for sale online with free shipping on bulk ammo including this Federal Personal Defense 357 Magnum Ammo 125 Grain Jacketed Hollow Point. 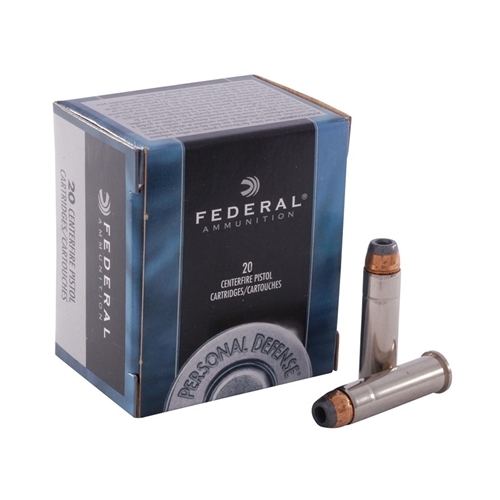 The Federal Personal Defense 357 Magnum bullet expands on impact for maximum stopping power. The hollow point bullet has a recessed or hollowed out shape in its tip, intended to cause the bullet to expand upon impact in order to decrease penetration and disrupt more tissue. Federal hollow points are some of the best and most wide spread of all hollow point ammunition. Great price for Federal 357 Magnum ammo at TSUSA.! This ammo is the real deal. I'm a retired police officer of 27 years and for the first half of my career I carried a 4" S & W 686. I had read all the reviews on this ammo and I chose to load my 686 with same ammo. I was staking my life on this ammo and I can tell you from experience this is the #1 one shot man killer there is. I had to use my revolver to save my life and the life of a fellow officer and one shot did the job. For those in the know it was a pressure contact wound in middle of chest cavity with no exit wound. One shot and game over. I will continue to carry these rounds until I am no longer able to lift my revolver. Damn good job Federal. Very happy with service, shipment, price, and quality of product. Have never been disappointed.